We have been eating Genetically Modified (GM) crops for nearly twenty years. Ninety-nine per cent of GM crops are either sprayed with weedkiller, mainly Roundup, or kill insects by destroying their guts or do both. Food Standards Australia New Zealand (FSANZ), Current GM applications and approvals. The companies say these GM foods are the most tested in history. But what tests have been done? However, the companies can submit animal feeding trials. Most of the studies last for 90 days or less. This is much shorter than the two-year life span of a rat or a mouse. Sometimes only five to seven animals per group are tested but it can be as few as two. These tiny groups will only show harm if it is extreme. The whole GM plant may not be tested. Instead animals are force-fed one dose of the substance the GM developer thinks they have engineered into the plant. The animals are then observed for only one or two weeks. These tests cannot show GM food is safe for us to eat over the long term. Perhaps the tests are designed to check that we won’t drop dead after one GM meal? 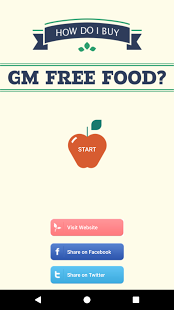 Is GM food safe to eat? Read the report by Dr Judy Carman. FSANZ have never rejected a GM crop application. The responsibility for demonstrating the safety of any new food product on the market lies with the developer of that product. Is post market monitoring of GM foods undertaken? Animal feeding studies examining the weight of chicken breasts and the tenderness of lamb chops have been used in applications for the GM food we eat. These are animal production studies, done to reassure farmers that animals fed GM feed will produce sufficient meat. These studies do not show that GM foods are safe for us to eat. Only 17.5% (312) studies are on GM food and feed. The review notes studies questioning the safety of GM DNA and RNA, it’s transfer into the body via the gut, the safety of the intended and unintended GM proteins and yet all evidence of harm is dismissed. (p81-84). Search for : Studies on irrelevant animals: Steinke 2010; Brake 1998 (also search for trout, broiler chickens etc). Studies showing harm or potential for harm: Ewen, Pustai, 1999; Wilson, Latham, Steinbrecher 2006; Carman 2013; Seralini 2009. Genera states the Seralini 2012 study was retracted. It was retracted for being ‘inconclusive’. If this was grounds for retraction then the first two Watson and Crick papers on the structure and replication of DNA would need to be retracted too. We wouldn’t believe a couple of ‘lists of studies’ could show ‘all pharmaceutical drugs are safe’. We expect each drug to undergo rigorous testing. We should expect the same for our food. These tests must be independent, detailed, look at human health not chicken breast weight and be long-term. Currently our labelling laws are full of loopholes so almost all GM food escapes labelling. We insist companies selling us food tell us what is in it.